One of my first jobs after college was in sales. The company I worked for relocated me to Dallas, TX and assigned me a 15-state territory (that’s not a typo) that stretched from Louisiana to North Dakota. I was on an airplane about once a week for 4 years to conduct sales and product training. Luckily, being based in Dallas, which is also the hub for American Airlines, I was close to a major airport that served all the cities I needed to travel to. My travel routine got so streamlined, that I was able to literally take my seat on the plane within 30 minutes of leaving home. I prefer to travel in comfy clothes and because sometimes my first meeting was the same day that I arrived, I became a pro at packing my business outfits in one bag without wrinkles or creases so I could quickly change at the hotel and head out. 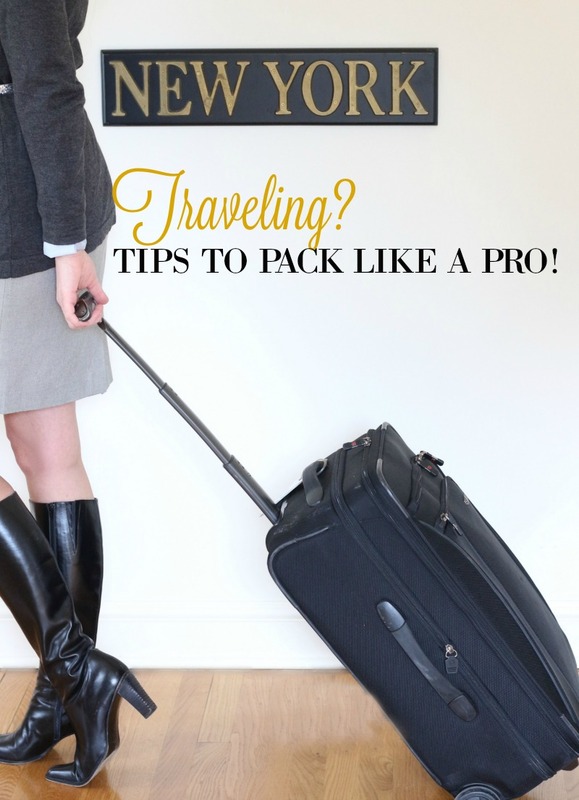 I want to share my Top 10 packing tips on how to keep your carry on suitcase organized so you arrive looking and feeling your best. Tip #1 – When conducting business, you want to present your best image with crisp, clean clothes that look like you just put them on. Packing them properly will assure that they are wrinkle free. 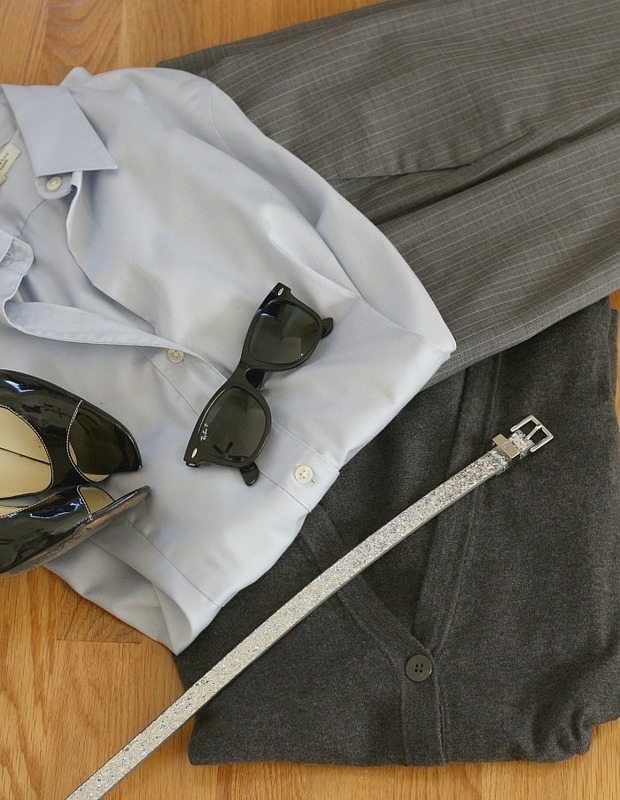 Tip #2 – Wear comfortable, light-weight, casual clothes to travel to and from your destination – not business clothes. Regardless of the duration of the flight, most business attire will get wrinkled and it simply doesn’t look professional. To save on packing space, I typically wear the same clothes there and back, with the exception of packing a different top to wear back. 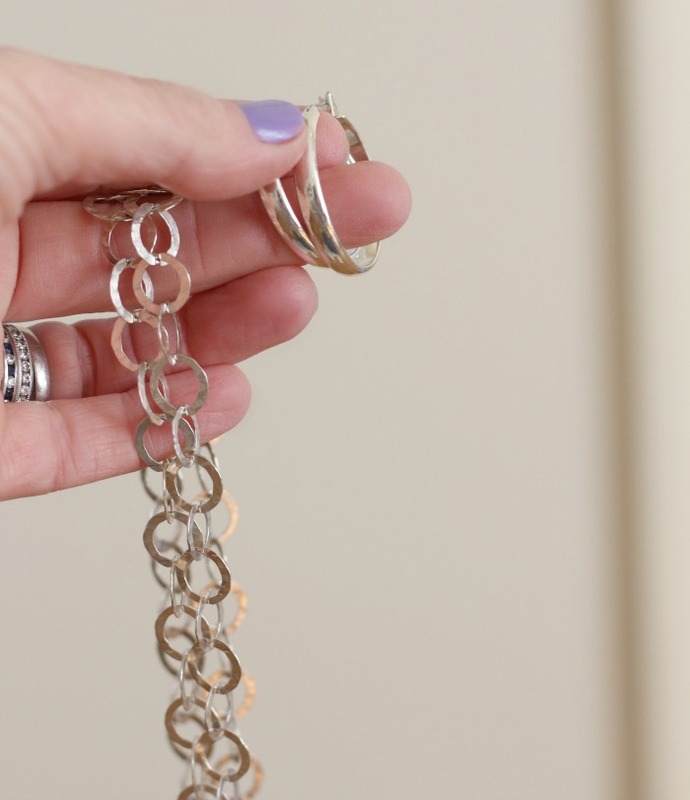 Tip #3 – Compartmentalize your items. I bought these adorable travel bags at H&M, they were on sale for less than $2.00 and I couldn’t pass them up. 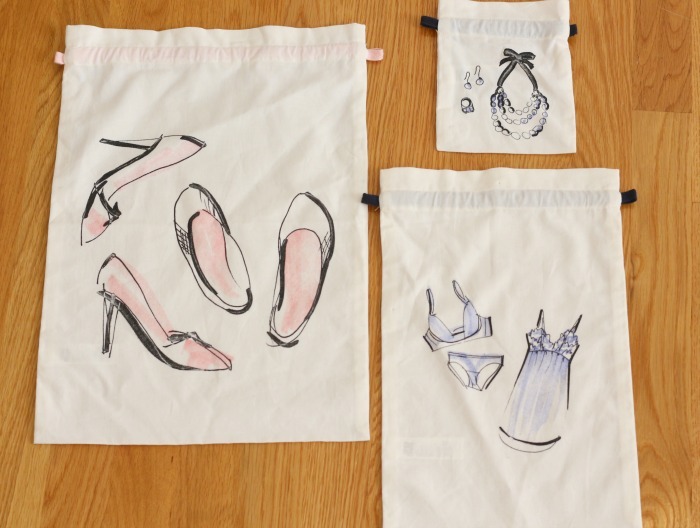 It keeps everything separate and organized – and protects your clothes. Tip #4 – Decide what you want your complete outfit to be before you pack, avoid throwing in a bunch of random clothes. It is always a good idea to check the weather of your destination point and pack accordingly. I also pick clothes made out of fabric that I know is wrinkle resistant. 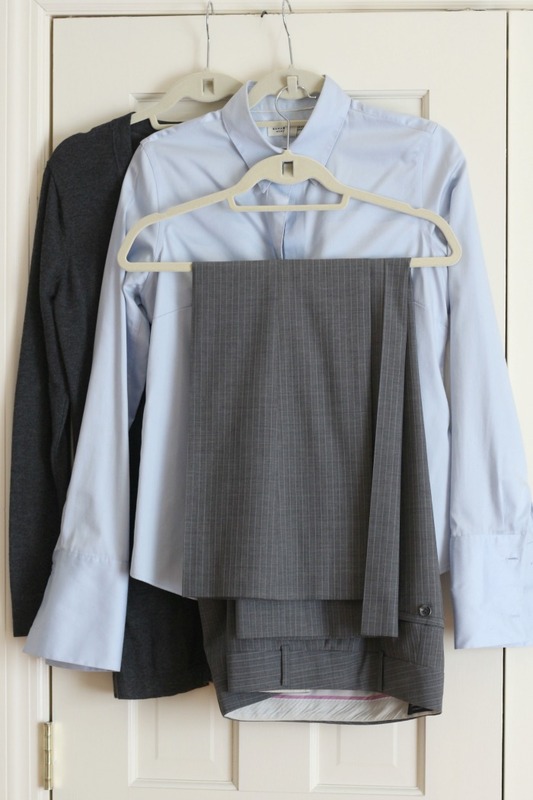 Tip #5 – Once I have decided what to wear, I use one hanger for each complete outfit. 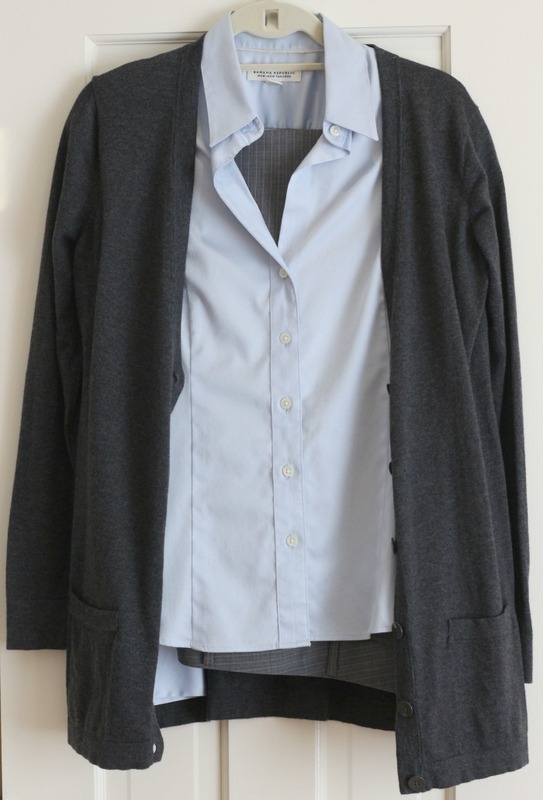 The pants go on first, then the top/shirt and finally the sweater/jacket. 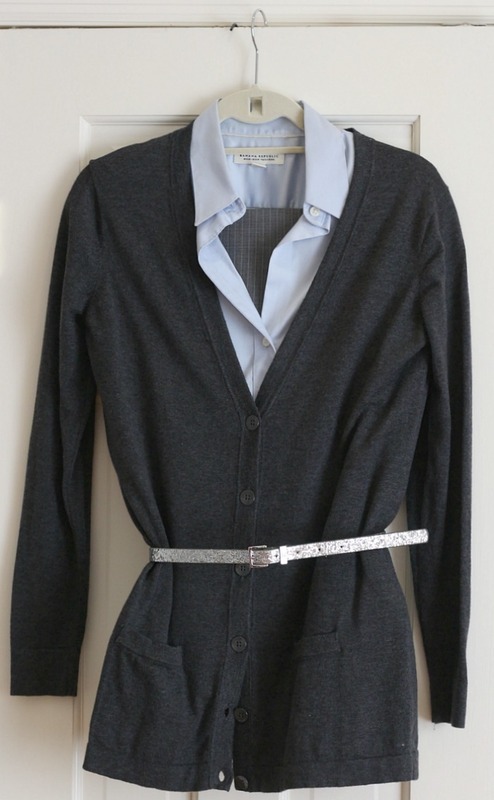 This way, everything is together and it eliminates the guesswork out of deciding what to wear. 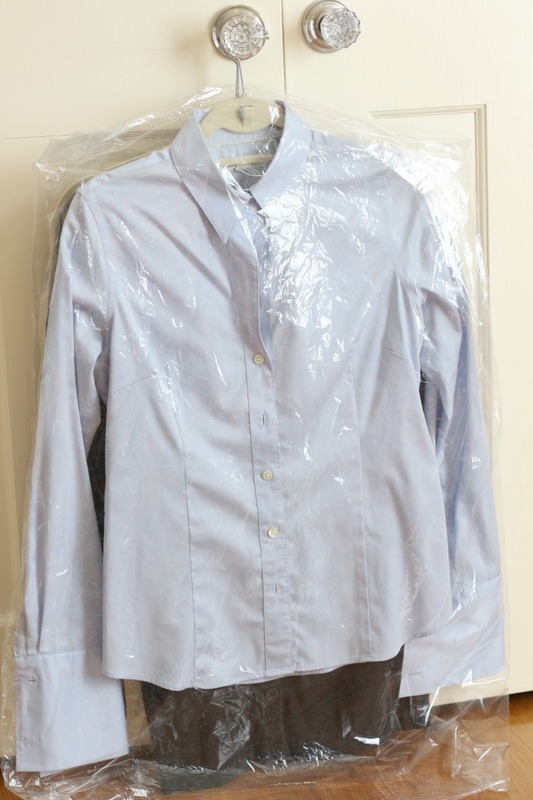 Tip #6 – Use a plastic dry cleaning bag and cover the entire outfit. 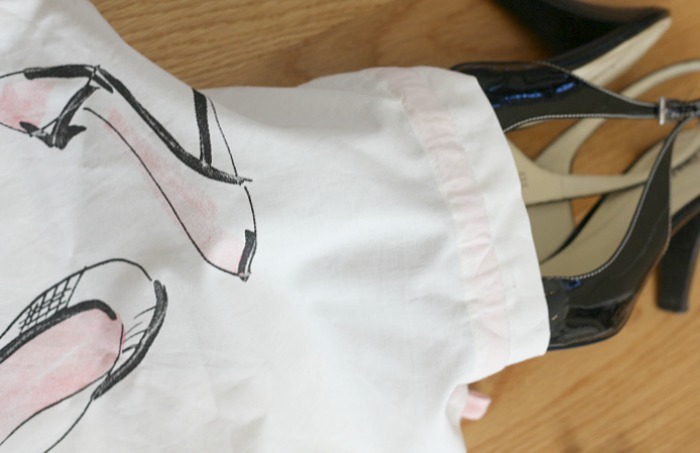 This keeps the clothes practically wrinkle-free and protects them from accidental spills from any beauty products that might not have the cap tightened all the way. 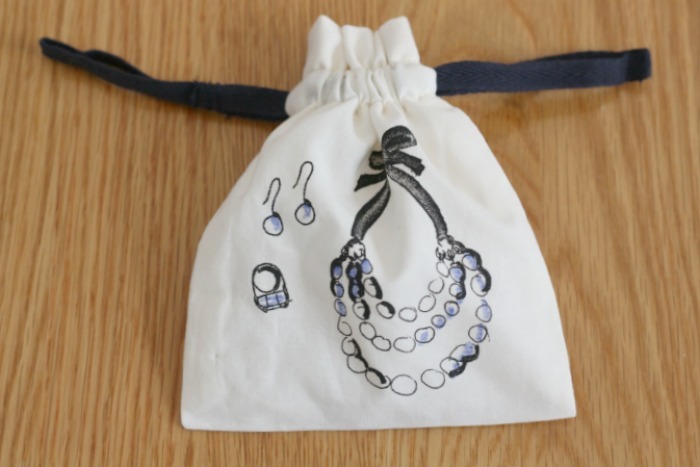 Tip #7 – I put my jewelry in a small bag, as well as my lingerie. Always put shoes in a shoe bag, if you don’t have one, a plastic bag from the grocery store works just as well. Tip #8 – I separate my toiletries and cosmetics into two different bags, it makes it a lot easier to get ready and I can stash my cosmetics in my handbag if I know it is going to be a long day and I will want to refresh my makeup. If you follow my blog, you know how much I love getting my Birchbox beauty supplies and they are the perfect size for travel! A small can of dry shampoo is a life-saver, I never travel without one. Tip #9 – When packing your carry on suitcase, put the heavier clothes on the bottom and work your way up to the lightest items. As far as the packing sequence: I start with the shoes on the bottom, beauty/cosmetics, casual clothes, pjs and finally business clothes on the top. Most suitcases have outer compartments, and I store my laptop in one of those. It makes it super easy to access my laptop as I am going through security and to access during the flight. 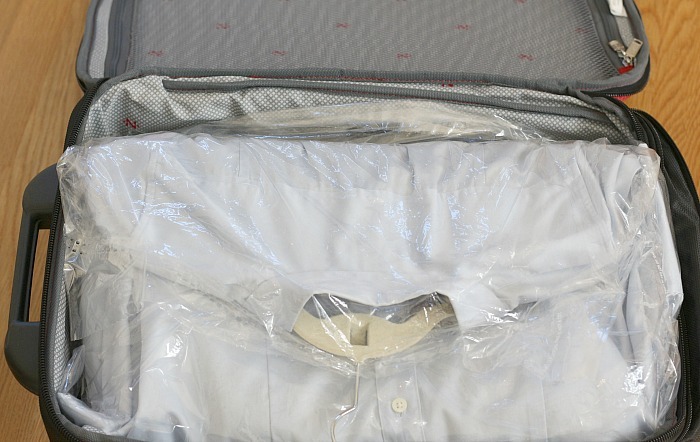 Tip #10- It may seem obvious, but when you are storing your carry on suitcase in the airplane overhead, make sure that it is right side up so there is no weight on your business clothes. Lastly, once you are in your hotel room, unpack right away and hang your clothes in the closet. You’d be amazed at how gravity works wonders and will smooth out any wrinkles. Safe travels!